If you live in the Milton area and are looking for used car deals in Milton, be sure to visit a Budds’ BMW near you. Budds’ BMW has been providing Ontarians with premium certified pre-owned vehicles for years and we are proud of how we have been able to accommodate individuals and their families no matter what their needs have been. 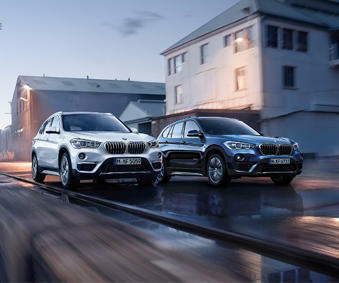 We have a large inventory of top quality used cars, and we are certain that if you connect with our team at Budds’ BMW, you’ll drive away in the car of your dreams. We pride ourselves in providing top quality pre-owned BMW automobiles, and you can rest assured knowing that we do not compromise quality despite our reasonable prices. One of our goals at Budds’ BMW is to offer you an online shopping experience that will bring you excitement and pleasure right from the comfort of your own home. If you’re looking for used car deals in Milton, be sure to visit our pre-owned vehicles menu to search for a used car that suits your style and needs. Feel free to browse our extended warranty programs, exchange privileges, and our special offers on our website. Or, if you prefer to discuss used car deals in Milton with one of our client representatives, feel free to call a Budds’ BMW dealership near you and we’d be happy to answer any of your questions. We love what we do at Budds’ and we’re passionate about educating our clients. You can also book an appointment to test drive any of our premium pre-owned vehicles in just a few simple clicks. We ensure our clients peace of mind with our certification and assistance packages that are included when you purchase a luxury pre-owned BMW automobile from Budds’ BMW. We understand that buying a vehicle is a large commitment, and it is our promise to you that you will be thoroughly educated on the history of your pre-owned luxury vehicle. We also have an expert team of inspection technicians that perform thorough inspections before our pre-owned vehicles even make it to our show room. This way, you can get behind the wheel knowing that you are in a safe and reliable vehicle. On our website, you will also find our 24-hour roadside assistance policy. We make it our priority to know that you are arriving at your destinations smoothly and safely, as we care about the wellbeing and enjoyment of our clients. When you shop for used car deals in Milton at Budds’ BMW, you can be confident that you’re driving home with a high-performance vehicle that not only feels good but is going to provide you and your loved ones with safety and security. Feel free to contact us at Budds’ BMW today. We’re here to make your vehicle search easy and enjoyable.